Fibreglass is commonly used to touch up and repair body panels that have been damaged or corroded over time. 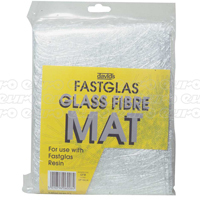 Choose from some of the biggest brands and buy your next fibre glass repair kit from Euro Car Parts today. Fibreglass is used throughout modern vehicles as it is lightweight and affordable. It forms the majority of body panels, and is commonly used to repair cracks, scratches and dents. 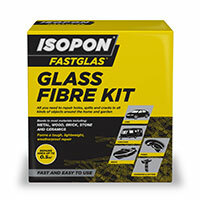 Fibreglass repair kits are a great if you’re looking to repair damaged bodywork on a budget. Costing much less than a new body panel, these kits enable car owners to create a mixture that can then be applied to the car’s body, before being smoothed over and painted using either a touch up kit or professional sprayer. 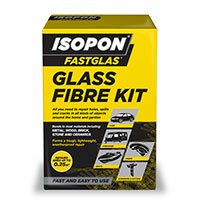 As well as stocking full repair kits, Euro Car Parts also stocks fibreglass tissue and repair mesh. Perfect for those that already have resin to hand.  Buy your next fibreglass repair kit or tissue at Euro Car Parts and take advantage of free UK delivery across the range. Click and collect is also available, great news for those that need a quick fix or live within a short distance of one of our 200 stores nationwide.